SRG Global has extensive experience in all aspects of protective coatings. Services undertaken and our extensive range of mobile plant allows us to carry out field operations wherever the location. We have an extensive range of cleaning and preparation equipment from standard air abrasive blasting, UHP water jetting through to specialist power tools. SRG Global has extensive experience in supplying a wide range of fireproofing and fire protection products including monokote, zonolite and Kaowool. For exterior application of fire protection to steel requiring rating, SRG Global is an approved applicator of Chartek, Thermo Lag, Fendolite MII and Pyrocrete 241 for petrochemical plants as well as most single pot intumescent paint coatings used in commercial buildings. SRG Global has many years of experience in pipe wrapping of smaller diameter pipes. 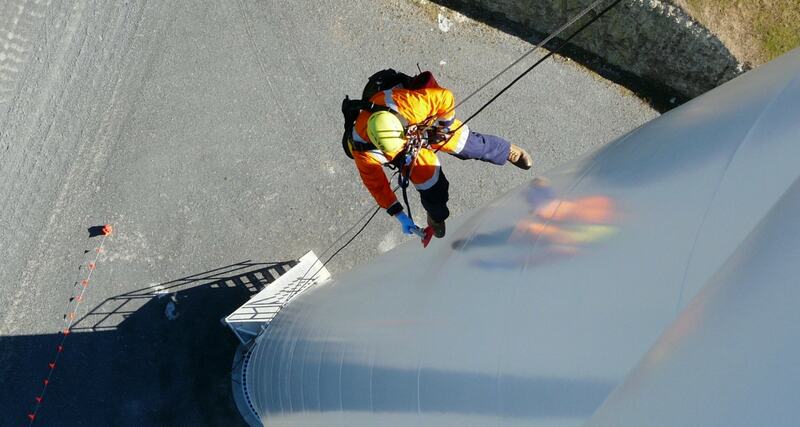 We regularly carry out field wrapping of filed welds on all line sizes, this service generally also includes the internal coating of the weld which could be cementitious or organic materials such as epoxy. SRG Global has considerable experience with penstock recoating having completed multi-million dollar projects such as the replacement of external protective lead based coating on the three penstocks that feed into the Tuai power station in Waikaremoana and the internal coating of the Poatina Penstock in Tasmania and six penstock internal relines at Roxburgh. SRG Global provides specialist metal thermal spraying services for various clients in both the public and private sectors. We have significant experience in the application of thermally sprayed aluminium and have completed a variety of other metal spraying projects inlcuding on the Auckland Harbour Bridge in New Zealand.